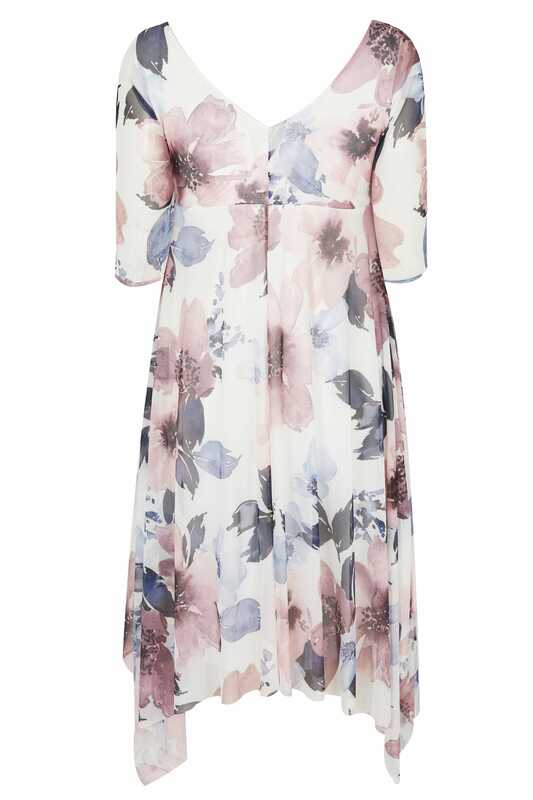 Add a feminine flourish to your formal wear with this stylish dress from our Yours London range. 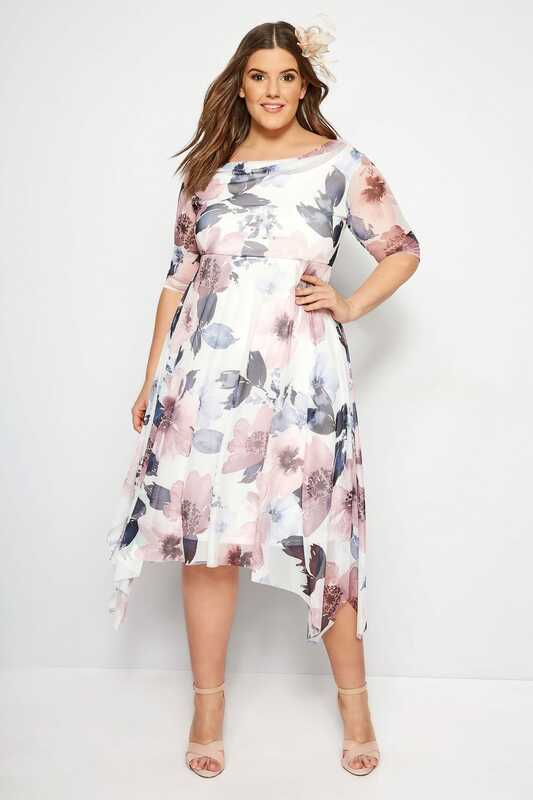 Made from a stretch fabric with a mesh overlay, it features a fashion forward hanky hem and a flattering cowl neckline. Dress up with a pair of high sandals and a simple clutch for an elegant look. 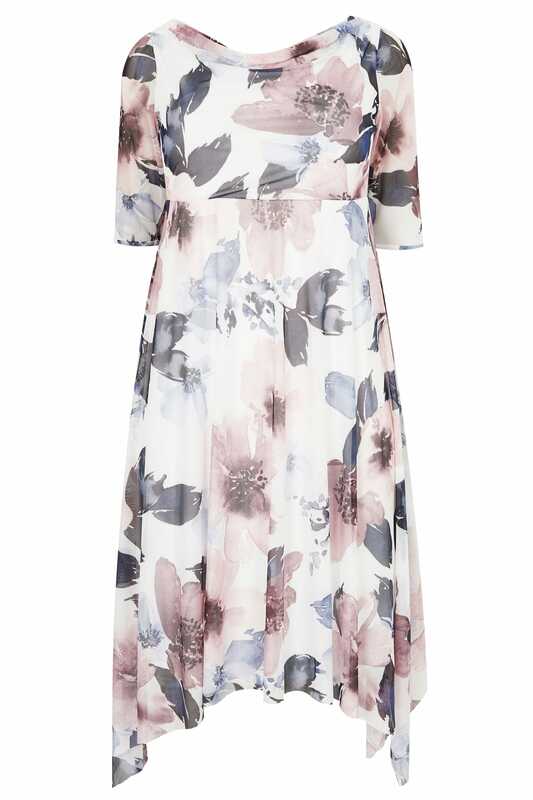 Soft pastel hues and bold floral blooms make for the perfect evening dress.